Our committed volunteers took part in a 26 hour community radio marathon and raised a fantastic £1755. Alan Parker, one of the volunteers, said he sees Giving Tuesday as a chance to give something back to shmu for their support. The money raised during the marathon will go towards kitting out the new shmu building in Woodside as part of our Paving the Way to Woodside campaign. 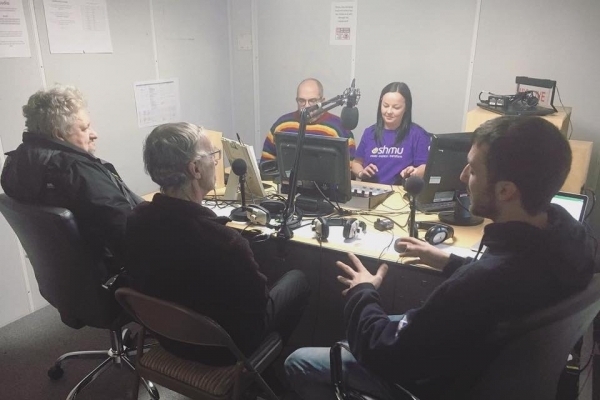 We have now raised enough money to pay for two new radio studios which we couldn't do without the support of our volunteers and network of supporters. Want to find out more about volunteering at shmu? Contact our Community Media Development Worker, Laura Young or call 01224 515013.